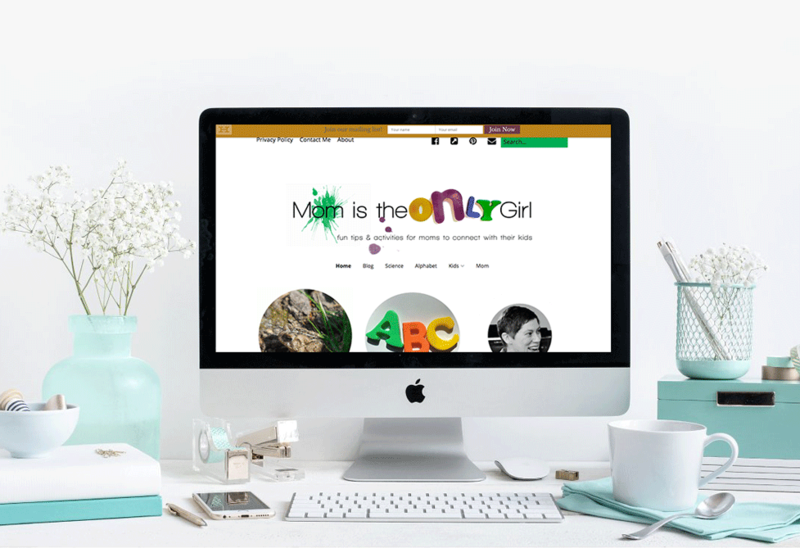 Mom is the Only Girl is my other website, which began as a blog after a friend encouraged me in 2010 to share activities for moms to connect with their kids. Originally this was started on Blogspot.com using a free theme and was structured solely as a blog with articles posted in full down the center of the page. I wanted to explore the possibility of making an income with my blog, so I moved it to WordPress.org. Migrating it from Blogger to WordPress.org also allowed me to create a page visitors would land on with categories, so they would be able to click through to content more specific to what interested them. For this project, I created my own branding ~ my logo, color-scheme and picked out my own fonts. This site never became monetized, because I began my web development blueprint, although it is set up to add advertisements and banners. 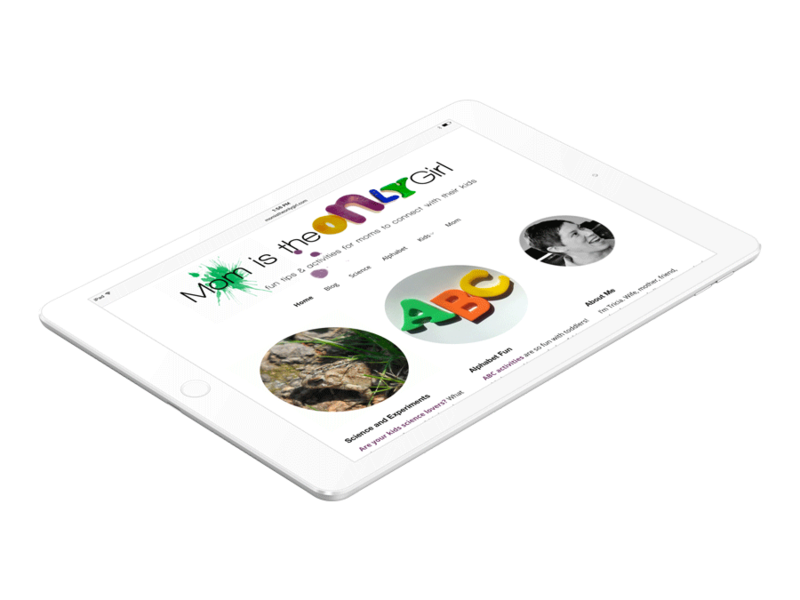 As I learned new skills in my classes, I practiced on this website and gained much knowledge and hands-on training in the process. Since the blueprint came to an end I’ve been working on my current site and other peoples’ sites and have yet to revisit this to update it to look good on a phone. I design with a clean, minimal feel…lots of whitespace leading the reader to a clear indication of what to do next. My Mom Blog was also designed in this way so the activities and photos being shared are highlighted. When redesigning my site (oh, my first attempt at a blog on Blogger was not even worth keeping an image of it!) I wanted my visitors to land on a page and be able to select the category that would be most helpful to them, as I covered a wide range of ages. I critiqued my site, and thought strategically about a visitor’s journey through it. I placed each category heading and short description under a fun circular image. This made the page visitors land on very clear and gave them an option to follow the path of their choice. I chose circles for the images on my site, because they seemed to convey the fun, active feeling I want visitors to feel when they arrive on my site. This feeling is carried throughout the site with each blog post excerpt having a circular highlighted image. I find designing for myself to be much more difficult than for someone else. In my head I have a very distinct idea as to the look and feel I want to achieve so that my visitors will be engaged and want to stay and gather more ideas.